Canada’s three leadership groups at the 2018 World Under-17 Hockey Challenge will be well represented by Western Hockey League talent. 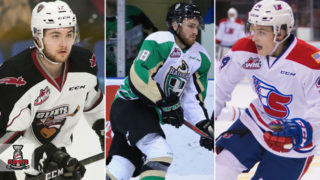 Hockey Canada announced the three-man leadership groups for Canada White, Canada Red, and Canada Black Saturday, with five of the nine spots held by WHL players. Jake Neighbours (Airdrie, Alta. / Edmonton Oil Kings) was named as the captain of Canada White while Kaiden Guhle (Edmonton, Alta. / Prince Albert Raiders) was selected to lead Canada Red. Neighbours joined Canada following a terrific start to the 2018-19 WHL Regular Season that saw him post 14 points (5G-9A) in 17 games, helping him earn WHL Rookie of the Month honours for September/October. Neighbours will be joined by division rival Luke Prokop (Edmonton, Alta. / Calgary Hitmen), who will serve as an alternate captain. Prokop has had a strong presence as well in his team’s opening 15 games, recently scoring his first career WHL goal. Guhle will lead Canada Red in their pursuit of another strong performance at the tournament. Guhle also recorded the first goal of his WHL career recently and has played a strong role on the blue line as the Raiders have risen to become the top team in the entire Canadian Hockey League. The first overall selection from the 2017 WHL Bantam Draft, Guhle will be joined by a fellow top three pick in that draft as Justin Sourdif (Surrey, B.C. 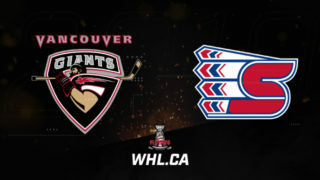 / Vancouver Giants) serves an alternate captain. 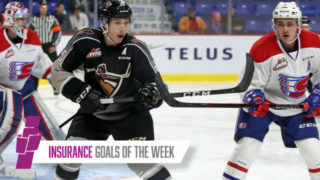 Sourdif has posted nine points (4G-5A), including a game-winning goal as the Giants have claimed the best record in the WHL’s Western Conference through the first full month of the season. On Canada Black, Ozzy Wiesblatt (Calgary, Alta. / Prince Albert Raiders) will serve as an alternate captain. 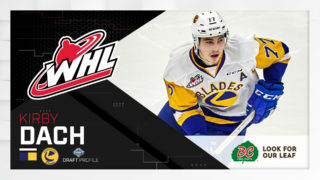 Wiesblatt has posted four points (2G-2A) in his first 16 games of the season, working with the likes of Guhle and others to make the Raiders the top team in the WHL and CHL. The tournament itself begins Saturday, November 3. Canada Red will be the first team in action, taking on the United States at the qplex Quispamsis, N.B. (4:30 p.m. MT). Canada Black and Canada White will begin the tournament against each other Sunday, November 4 (12:00 p.m. MT) at Harbour Station in Saint John, N.B. A five-goal second period powered Canada Red to a preliminary tournament victory Thursday. Payton Mount (Victoria, B.C./ Seattle Thunderbirds) was one of four different players to find the back of the net for Canada. Dylan Garand (Victoria, B.C. / Kamloops Blazers) stopped all 10 shots sent his way in 29 minutes of action. 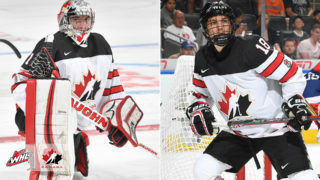 Canada White erased a 4-0 deficit and then defeated Russia 5-4 in overtime Thursday in preliminary tournament action. Connor McClennon (Wainwright, Alta. / Kootenay ICE) recorded three points, scoring Canada’s third goal of the game and picking up the lone assist on the game-winning goal in overtime. Neighbours also picked up an assist in the victory. Sebastian Cossa stopped seven of nine shots in 30 minutes of action. Canada Black doubled up Finland 4-2 in preliminary tournament action Thursday. Kyle Crnkovic (Chestermere, Alta. / Saskatoon Blades) opened the scoring, and Jack Finley (Kelowna, B.C. 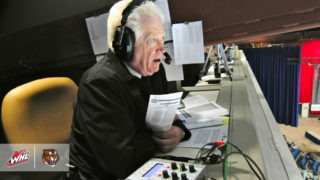 / Spokane Chiefs) scored the game-winning goal in the contest.